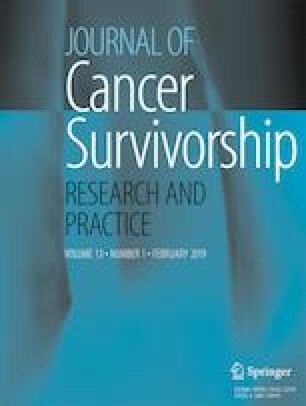 Prior studies established significant associations between e-cigarette use and combustible cigarette smoking in the general population; however, little is known about such associations among cancer survivors. Thus, the current study examined possible associations between e-cigarette use and combustible cigarette smoking among U.S. cancer survivors. Cross-sectional data were drawn from the 2016 Behavioral Risk Factor Surveillance System Survey. Binary logistic regression was used to analyze the associations between e-cigarette user status and combustible cigarette-smoking status in a sample of 4680 cancer survivors, controlling for alcohol use and sociodemographic factors. Analyses were weighted for unequal probability of sample selection to reflect national cancer survivor population estimates. Prevalence for current e-cigarette use and combustible cigarette smoking for cancer survivors was 2.57% and 16.16%, respectively. In the adjusted analyses, cancer survivors who reported current e-cigarette use, compared to never-users, had greater odds of being current combustible cigarette smokers (odds ratio [OR] = 11.81, 95% confidence interval [CI] = 5.38–25.93). Likewise, former e-cigarette users, compared to never-users, had greater odds of being current combustible cigarette smokers (OR = 15.90, 95% CI = 10.68–23.36). Among cancer survivors in the USA, e-cigarette use had a positive and highly significant association with combustible cigarette smoking. In order to prevent multiple and substitute use of nicotine-delivery products, prevention interventions and cessation programs designed for cancer survivors should specifically target both current combustible cigarette smokers and non-smokers who report former and current e-cigarette use. None of the authors has a conflict of interest to disclose. The Indiana University Institutional Review Board verified the current study as a non-human subject study. Cancer treatment|survivor facts & figures. Am Cancer Soc https://www.cancer.org/research/cancer-facts-statistics/survivor-facts-figures.html. Accessed June 12, 2018. NIH fact sheets—cancer. National Institutes of Health. https://report.nih.gov/nihfactsheets/viewfactsheet.aspx?csid=75. Accessed June 5, 2018. Cancer Trends Progress Report. Cancer survivors and smoking. https://progressreport.cancer.gov/after/smoking. Accessed May 30, 2018. Behavioral Risk Factor Surveillance System. Centers for Disease Control and Prevention https://www.cdc.gov/brfss/annual_data/annual_2016.html. Published December 6, 2017. Accessed May 21, 2018. Centers for Disease Control and Prevention. Behavioral Risk Factor Surveillance System, 2016 Summary Data Quality Report. 2017. https://www.cdc.gov/brfss/annual_data/2016/pdf/2016-sdqr.pdf. Accessed 21 Aug 2018. Smoking & tobacco use. Centers for Disease Control and Prevention. https://www.cdc.gov/tobacco/data_statistics/fact_sheets/adult_data/cig_smoking/index.htm. Published February 15, 2018. Accessed June 5, 2018. Clearing the smoke. Nature Neuroscience. July 2014. https://www.nature.com/articles/nn.3777. Accessed June 15, 2018. E-cigarettes and lung health. American Lung Association. http://www.lung.org/stop-smoking/smoking-facts/e-cigarettes-and-lung-health.html. Accessed September 5, 2018. Hartmann-Boyce J, Chepkin SC, Ye W, Bullen C, Lancaster T. Nicotine replacement therapy versus control for smoking cessation. Cochrane Database Syst Rev. 2018. https://doi.org/10.1002/14651858.cd000146.pub5. Tao L, Wang R, Gao Y-T, Yuan J-M. Impact of post-diagnosis smoking on long-term survival of cancer patients: the Shanghai Cohort Study. Cancer Epidemiol Biomark Prev. 22(12):2404–11. https://doi.org/10.1158/1055-9965.EPI-13-0805-T.
Health risks of smoking tobacco. American Cancer Society. https://www.cancer.org/cancer/cancer-causes/tobacco-and-cancer/health-risks-of-smoking-tobacco.html. Accessed May 21, 2018. Cigarette smoking and health. Encyclopedia of behavioral hedicine. 2013;421–421. https://doi.org/10.1007/978-1-4419-1005-9_100302. Aryal UR, Bhatta DN. Perceived benefits and health risks of cigarette smoking among young adults: insights from a cross-sectional study. Tob Induc Dis. 2015;13(1). https://doi.org/10.1186/s12971-015-0044-9.